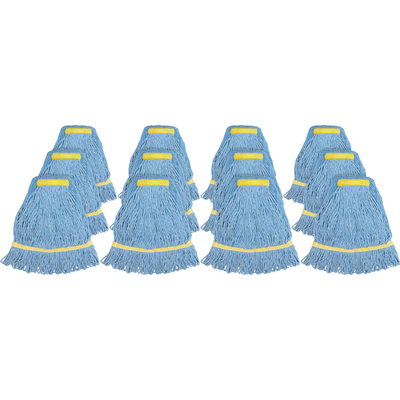 Small Mophead With A Narrow Headband Is Ideal For General Cleaning And Disinfecting. Synthetic Blend Fibers (Rayon And Cotton) Absorb Six To Seven Times Their Weight. Mop Offers A Limited Break-In Period So You Can Start Mopping Sooner. Looped Ends Provide Greater Durability And Launderability..